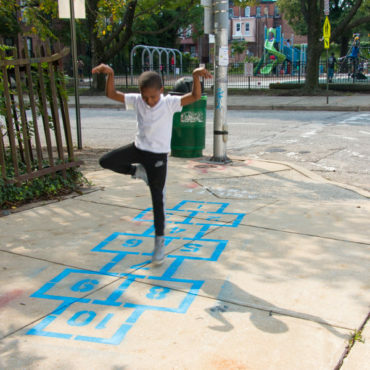 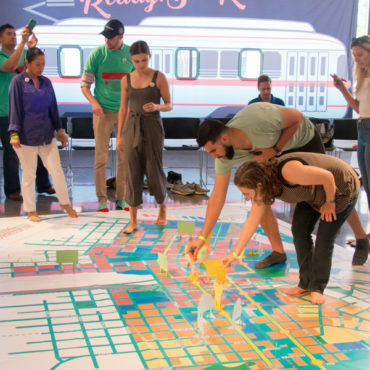 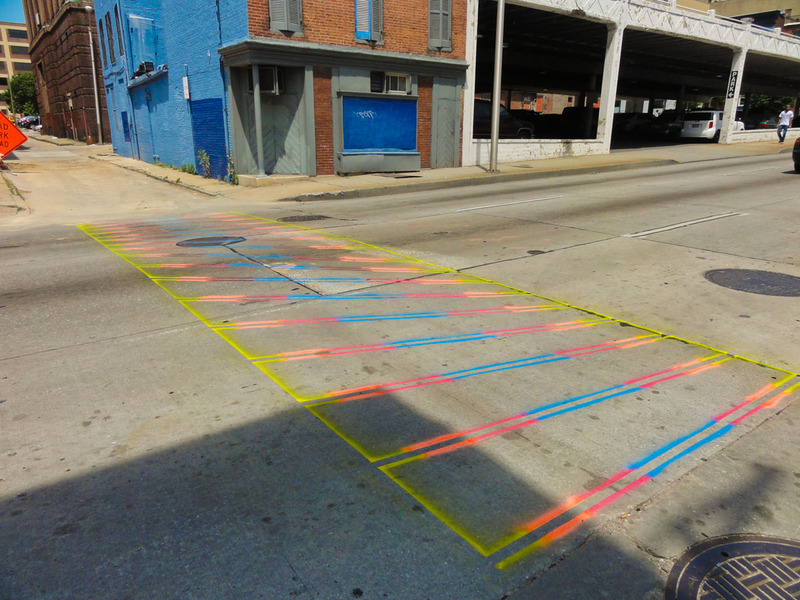 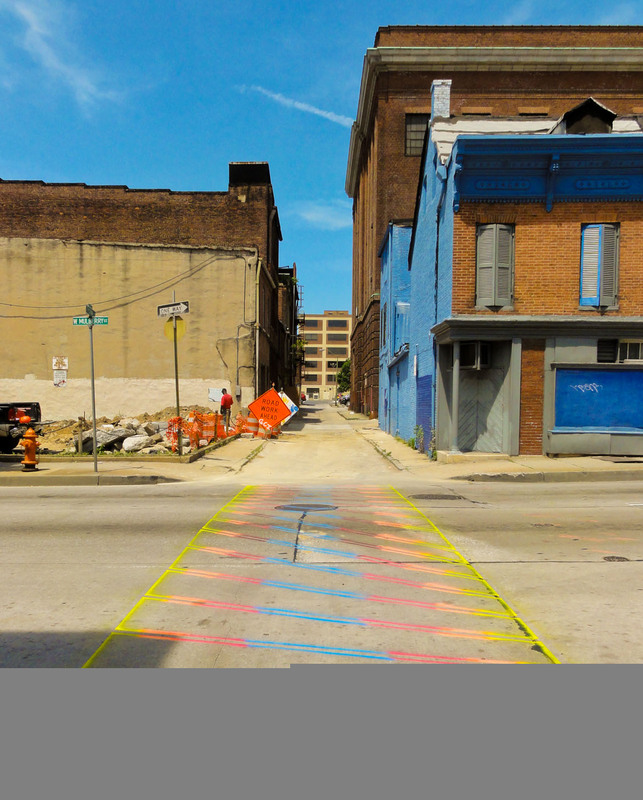 Visionary Crosswalks – Tyson Alley was a direct action crosswalk tracing the casual paths that jaywalkers regularly take when crossing Mulberry Street while walking down Tyson Alley along in the west side of downtown Baltimore. 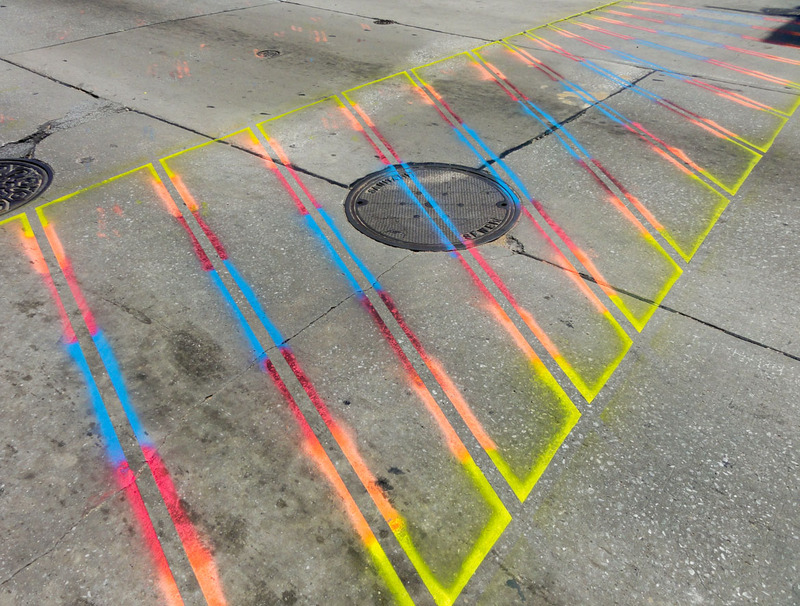 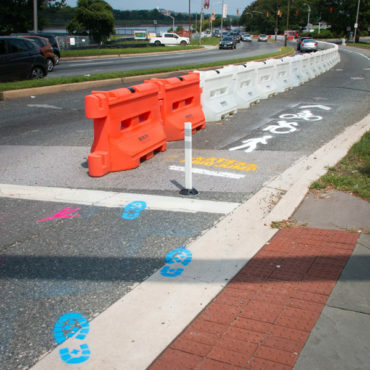 Colorful utility markings alerted motorists to the pedestrians’ parading pathway as they walked back and forth between Maryland Art Place and Current Gallery during the 2012 Transmodern Festival. 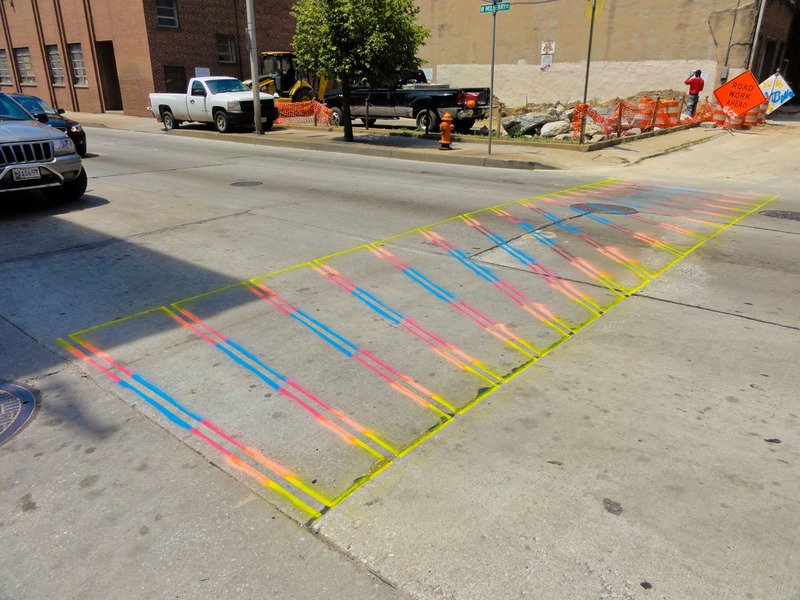 Serving as a voluntary crossing guard, complete with hand-made uniform, I assisted pedestrians as they enjoyed their downtown art drift.